Well done James for passing with GSI! Well done Sam for passing with GSI! 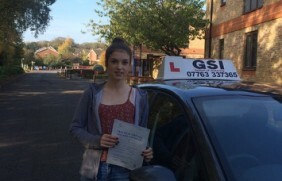 Well done Becky for passing with GSI! Learn to drive with GSI Driving School Woking! 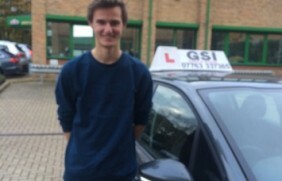 GSI Driving School is a small, friendly, family run Driving School in Woking, offering quality driving lessons in Woking and surrounding areas. With friendly driving instructors providing a genuine caring approach, you are sure to enjoy learning to drive with GSI Driving School Woking! 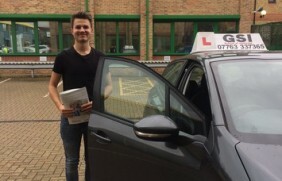 We offer the pass plus scheme as well as advanced and intensive courses for the person who wishes to learn to drive using this approach (subject to an assessment by an ADI). We cover Woking, Lightwater, Bagshot, Bisley, West End, Ottershaw, Brookwood, Knaphill, Goldsworth Park, Pirbright, St Johns, Horsell, Guildford, Worplesdon, Chertsey, Weybridge, Byfleet, West Byfleet, Sheerwater, Maybury, Mayford. Some areas may not be listed, please call to confirm if we cover your area. Due to the continued success and increasing demand for our instructors here at GSI Driving School, we are currently recruiting qualified ADI’s to join our thriving team! If you are interested and would like more information, then please contact us via email or phone using the contact page. great support and always there to help. I would recommend this great company to anyone! I wouldn’t be the confident driver I am today without Tamara, 5 stars! !